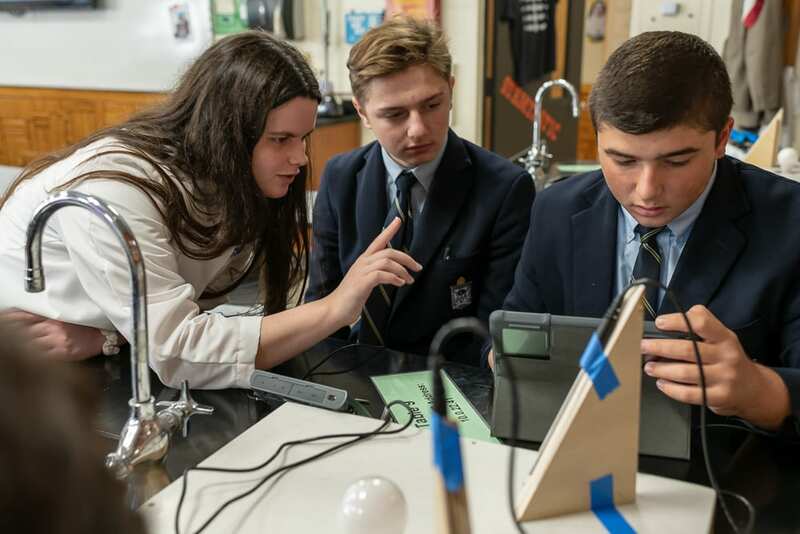 In addition to her daily Honors Physics Seminar course, Senior Lab Assistant Kaitlin Long ’19 has been working with freshmen Earth Science classes during their lab periods. 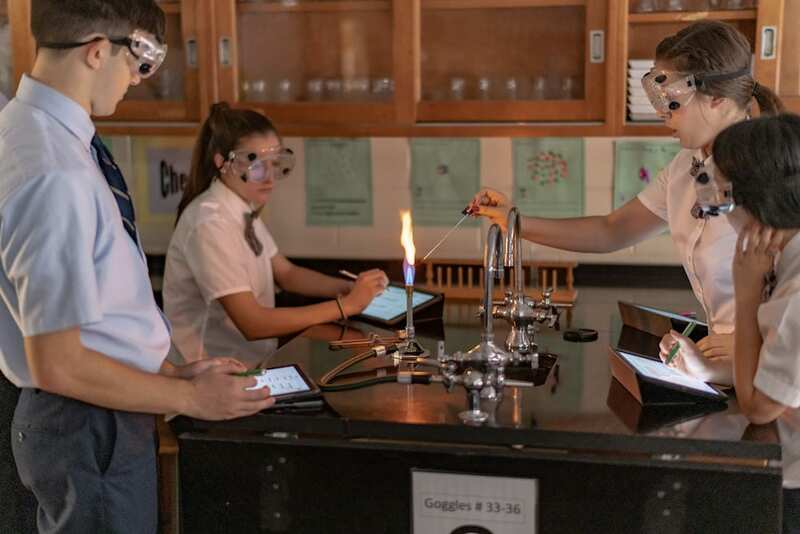 Kaitlin’s time in the lab doesn’t end at Kellenberg Memorial. In the spring of 2018, Kaitlin was accepted into the Partners for the Future program at the Sheltzer Lab in Cold Spring Harbor, NY. 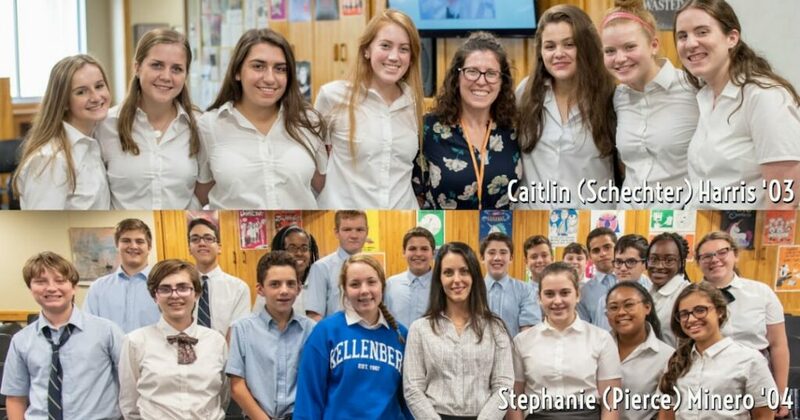 Caitlin (Schechter) Harris, FNP-BC, MSN ’03 and Stephanie (Pierce) Minero ’04 kicked off this year's STEM Talk Series with presentations about the fields of nursing and forensic science.